“Wow, I have my own toothbrush,” one young girl exclaimed after receiving a Mighty Molars dental kit from Americans Helping Americans® partner in Beattyville, Kentucky, the Lee County Family Resource Center (LCFRC). “Now, I don’t have to share with my brother and sister,” she told LCFRC director Sherry Lanham. For this elementary school-age girl, it’s likely that that’s the brand-new toothbrush she’s ever received, and didn’t have to share. Of course, we know of plenty of little brothers and sisters who receive hand-me-down clothes, shoes and coats – but a hand-me-down toothbrush, that’s a first! 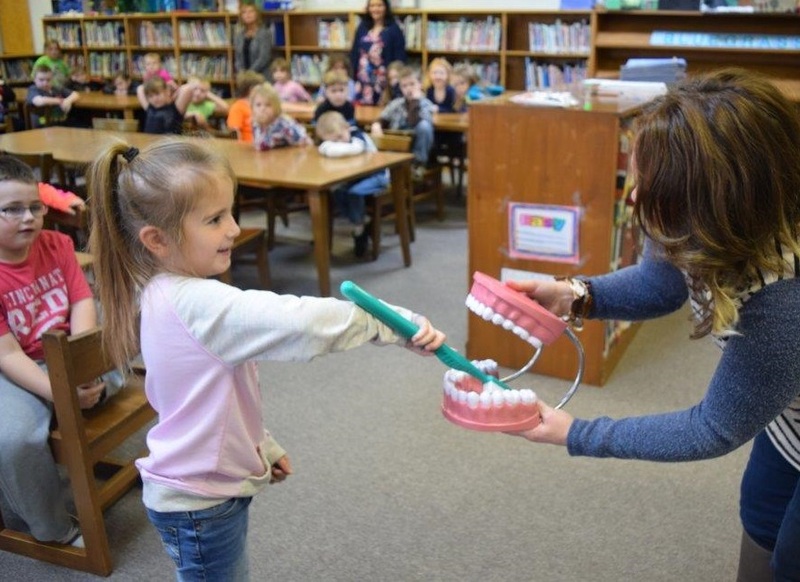 But thanks to our supporters, Beattyville Elementary School was able to sponsor a dental health day to explain to the students the importance of proper dental care, and how to take care of their teeth. Each kit contains toothbrushes, a six-month supply of toothpaste, dental floss and even a 2-minute hourglass timer so they know exactly how long they need to brush for. Children in rural Kentucky have among the highest incidences of cavities and poor oral hygiene in the country due to a variety of factors, beginning with a lack of simply having a toothbrush and toothpaste. At Americans Helping Americans® we are working in Kentucky, West Virginia, Tennessee, Georgia and elsewhere in Appalachia to provide children with the “tools for teeth” they need to prevent cavities and instill in them at an early age the importance of brushing and flossing daily to ensure they will have healthy smiles for a lifetime. Home Rehabs are coming, life skills learned after school, and more!